Gear pumps use meshing of gears to transfer liquid. 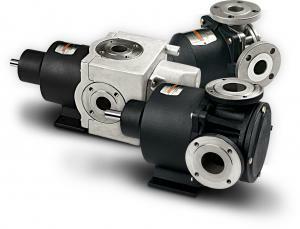 It is one of the common pumps that is being used in wide range of industries. EnviroGear® internal gear pump combines the durability and reliability that’s needed for pumps operating with any kind of liquid, regardless of viscosity, with the value of reduced maintenance, reduced downtime and reduced environmental costs that users demand. EnviroGear protects both the environment and those that work with it by minimizing leakage. This makes EnviroGear pump the single-best pumping solution for a wide variety of fluid transfer needs. A wide range of applications for Internal Gear Pumps includes applications such as Adhesives, Petroleum additives, Biofuel, Polyurethane, Sodium Hydroxide, Molten Sulfur, Heat Transfer, Pulp & paper, Food process, Resin, Lube oil & grease, Soap, Paint and coating, Surface active agent, Petrochemical / Chemical, Vegetable fat and oil.